The renovation and 8,000 SF expansion of an existing athletic facility. 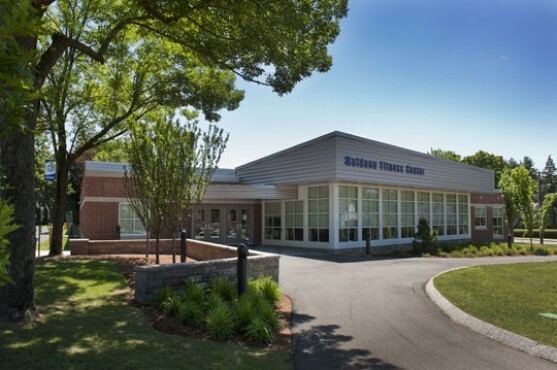 A focal point of the expanded building is its new fitness center with generous windows overlooking outdoor paths and activities such as the volley ball court. Additional program elements included athletic offices, training room, and new public toilet rooms. This was an opportunity to present a new public image of the expanded facility as it reached out towards the campus and the public street.